Facial mist works well to moisturize, soothe and rejuvenate the face. Be it after a tiring day at work or while on a flight, a cool spritz can instantly make you fresher. Facial mists come in varied types; containing sunscreen, antioxidants or aromatherapy oils. While some facial mists are essentially hydrating, others also contain day creams or products to invigorate the skin. But bear in mind that overdoing the facial mist sprays can also lead to drier skin. The mist bottle carries a bit of water to which the additional ingredients are added. It can vary from mineral water to ocean water or even spring water. 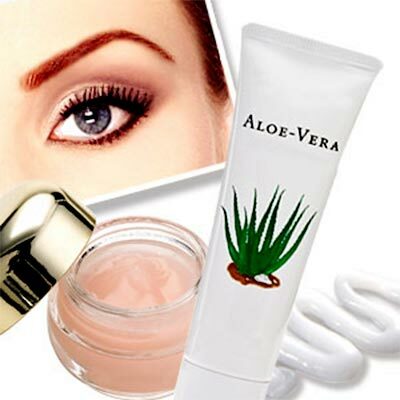 Other skin-enhancing ingredients could range from aloe vera and jojoba to Vitamins C and A. Minerals such as magnesium or calcium are often added to facial mists. If you are looking for a simple and affordable face mist, make your own at home. You can use the ingredients that suit your skin best and essential oils that make you feel better. You can use aloe vera juice, rose water, sprigs of fresh citrus, peppermint or lavender. Alternatively you can use essential oils such as geranium oil, rose oil or ylang-ylang oil. Adding witch hazel can help in bringing out the best in the herbs. You can mix and match to come up with a formula that works best for you. But do not go overboard on the ingredients - too many overpowering smells can be disastrous. Use glycerin for added hydration. Once you have created your own facial mist, store in a clean bottle in the refrigerator. Use it with mineral water into a spritz bottle. Using a facial mist before you apply your moisturizer or day cream allows you to sport a fresh look. It will help seal in the hydration. It also allows the makeup to look dewy and natural. The makeup won't appear cakey as the facial mist will help blend the foundation in. A face mist can fix cracks that develop in the makeup. But face mist over the makeup can make it streaky. Don't miss your neck when spritzing the face. Your own facial mist is ideal for diluting thick creams or when applying face packs. What better way to feel refreshed after a warm muggy day than to spritz some cool face mist. Surely better than having to wipe out beads of sweat! Toners are most often used in spray form. This kind of face mists help restore the pH balance. The pores are closed and any residual cleanser or dirt is removed from the skin. Spray the mist holding the bottle slightly away from the face, not too close. You can use a tissue to pat the skin. Facial mists are best used before moisturizers or makeup. Choose a face mist that suits your skin type. Keep a small bottle of your favorite face mist in your bag. Give your face a much-needed boost after hours inside an air-conditioned office. First Published Date: 11 Aug 2011 Last modified Date: April 18 2019 This page may have been updated recently as new information is available or the content may have been edited for better readability.